2014.05.07 "My Beethoven" is officially released today. It is available directly from the label, Foothill Records (MsMusic Productions), with a bonus track. The catalogue number is MUS-104-1. It is also available from Amazon.com. 2014.05.06 A mini-tour of the UK to promote "What's Exactly the Matter With Me" and "My Beethoven" will take place in June 2014.
c.2014.06.30 (Exact date / time to be decided), evening Groucho Club 45 Dean St, London W1D 4PZ, United Kingdom For club members only. 1. PF Sloan will perform a solo set. 2. 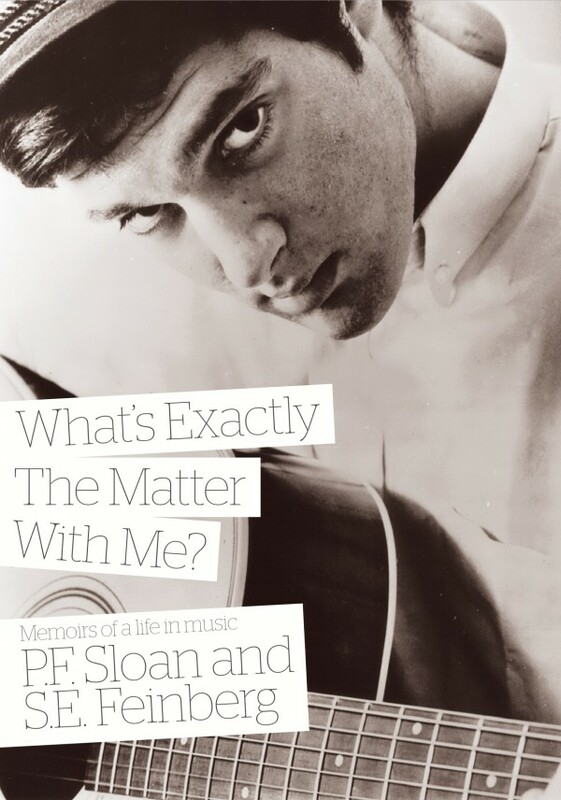 PF Sloan will read from his autobiography (co-written with Stephen Feinberg, who will also be present). 3. 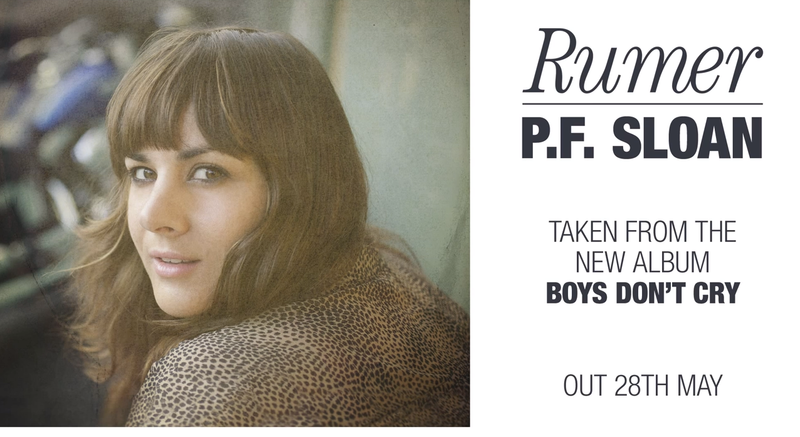 PF Sloan will perform a "special song" with Rumer. 4. Rumer will perform a short acoustic set with Rob Shirakbari on the piano. 2014.05.05 To coincide with the launch of the autobiography, a concert will be held from 19:00 - 21:00 on 2014.06.23 at St. James's Church, 197 Piccadilly, London W1J 9LL, United Kingdom. Rumer, who covered the song "P.F. Sloan" in 2012, will also be appearing. For further details and tickets, visit the Alternatives website. 2014.05.04 A musical play called "Louis! Louis! (The Real Life and Times of Beethoven)" has been written by S.E. Feinberg and P.F. Sloan. For information regarding production of the play, visit PF Sloan Memoirs. A number of personal items (such as gold discs and sheet music) will be sold on Ebay later in 2014. For details, visit the Museum of Mom and Pop Culture. 2014.04.14 The new album by P. F. Sloan has been completed! 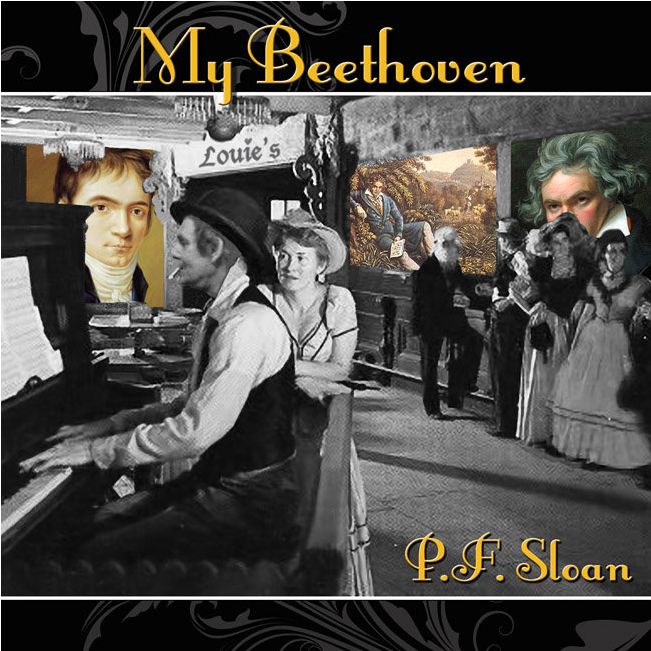 The title is "My Beethoven", and it contains 9 new, original songs. 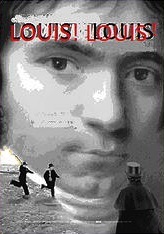 It is described as "a popera about the unknown life and feelings of Ludwig van Beethoven". It is due to be released in May, 2014. 2014.04.10 Although it has not beeen officially announced yet, P. F. Sloan may be appearing at the Glastonbury Festival of Contemporary Performing Arts in the U.K. For the latest updates, check the Glastonbury website. 2014.04.07 P. F. Sloan's memoirs, entitled "What's Exactly The Matter With Me?" will be published towards the end of June, 2014. Co-written with S. E. Feinberg, it should be available via Amazon, and possibly other online retailers. To promote it, some live performances and book signings are being planned. The book will be published by the Bristish publishing company, Jawbone Press. Check the Jawbone Press website for more details. The literary agent in charge of this is Sangeeta Haindl. 2012.05.10 A new official website for P. F. Sloan will be launched soon. Visit PF Sloan.net. 2012.05.04 P. F. Sloan is on Twitter! 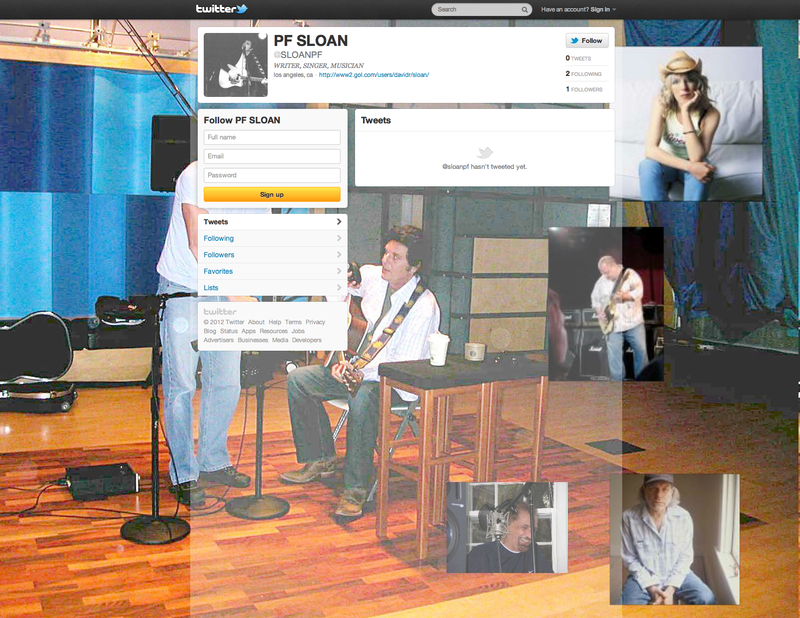 Go to the official P. F. Sloan Twitter page to view the latest tweets and / or become a follower! 2012.04.14 Jimmy Webb's composition, "P. F. Sloan" has been covered by the British singer, Rumer. It will be released as a single on 2012.05.21, and will also appear on her album, "Boys Don't Cry", to be released on 2012.05.28. Further information is available on Rumer's website. The song itself can be heard on Rumer's YouTube page. 2008.07.10 "Here's Where I Belong - The Best Of The Dunhill Years 1965 - 1967", a 27-track compilation has been released on CD, made with the full cooperation of P.F. Sloan. It contains extensive liner notes and numerous previously unpublished photographs. Despite the title, it actually comes close to including every song he released at Dunhill, but due to time constraints, two songs from "Twelve More Times" have been omitted ("Patterns Seg. 4" and "When the Wind Changes"). Several tracks are making their first appearance on CD, most notably "I Can't Help But Wonder, Elizabeth", arguably the highlight of the collection. The album "Songs of Our Times" appears in mono, unlike the stereo tracks which appeared on the 1993 "Anthology" CD, as the mono version was considered to have a superior mix. Three singles, "City Women", "A Melody For You" and "Sunflower, Sunflower" appear in new, stereo 2008 mixes, mixed by Andrew Sandoval with Bill Inglot, and all of the stereo tracks have been remastered. 2007.07.29 A tour of Europe to promote "Sailover" will take place in October 2007. The Netherlands concerts have been booked by Yvonne Bohm. 2006.10.18 (Thursday), 20:00 Paradiso - Kleine Zaal Weteringschans 6-8, 1017 SG, Amsterdam, Netherlands With Duane Jarvis. In The Woods Slotlaan 2, Lage-Vuursche, Utrecht 3739 AA, Netherlands With Duane Jarvis. 2007.10.12 (Friday), 20:00 WV-HEDW Sportpark Middenmeer, Radioweg 86, 1098NJ, Amsterdam, Netherlands With Duane Jarvis. This is a football club. ? 2007.10.10 (Wednesday), 20:30 Cafe Cambrinus Venrayseweg 94, Horst, Netherlands With Duane Jarvis. ? 2007.10.09 (Tuesday), 20:00 ? Dordrecht, Netherlands With Duane Jarvis. ? 2007.10.06 (Saturday), 20:00 Take Root Festival De Oosterpoort, Groningen, Netherlands With Duane Jarvis. Previous festivals have been released on DVD, so look out for this one! ? 2007.10.05 (Friday), 19:00 NPS (Nederlandse Programma Stichting) Interview on the"Studio 6" radio programme with Paul Harvey Amsterdam, Netherlands With Duane Jarvis. ? 2007.10.04 (Thursday) Cafe Mozart Vesterport 10, Aarhus, Aarhus 8000, Denmark Thanks to Jens Koch in Aarhus for arranging this concert! 2007.10.03 (Wednesday) Cafe Mozart Vesterport 10, Aarhus, Aarhus 8000, Denmark Thanks to Jens Koch in Aarhus for arranging this concert! 2007.07.28 A short tour of Canada will be held over July and August, 2007. 2007.07.28 (Saturday), 12:45 - 13:50 Calgary Folk Music Festival Ship and Anchor Stage 1, Prince's Island Park, Calgary, Alberta, Canada ? 2007.06.23 A concert was held in San Diego at the same venue as last November's. 2007.01.20 A DVD has been released by P.F. Sloan & Stephen Housden called "From The Top Of The Fret". A preview is available at Vision 4 Music's website, featuring the background to the song "Secret Agent Man". Label: Vision 4 Music, Inc.
2007.01.15 The 1968 album "Measure of Pleasure" has been reissued on CD, with new liner notes by P.F. Sloan. The tracklisting is identical to the original 10-track release. 2007.01.02 A concert will be held in Florida, featuring songs from "Sailover". 2007.01.06 (Saturday), 20:30 Kaplan Jewish Community Center Kaplan Jewish Community Center, 3151 N. Military Trail, West Palm Beach, FL 33409, U.S.A. Part of the Coffeehouse Series, in which notable Jewish singers, songwriters and musicians are invited to perform. ? 2006.11.20 The official P.F. Sloan MySpace website was launched on 2006.10.27. Head over there for the latest news and to listen to some of his music! 2006.11.10 A concert was held in San Diego last week. 2006.08.24 An interview with P.F. Sloan was broadcast on 2006.08.24 on the Leonard Lopate Show on WNYC (New York Public Radio). The interview can be heard with some live performances at the WNYC website. A photo of the interview is available on WNYC's Flickr photo page. 2006.07.30 The EPK for Sailover, filmed in London, U.K., in June, 2006, is available for viewing at YouTube. It is 10 minutes, 50 seconds long, and contains a live-in-the-studio performance of "Secret Agent Man", and snippets from "Sailover" and "Soul of a Woman" from the new CD. 2006.07.28 On 2006.08.02 (Wednesday) at 21:30, there will be a 4-song performance at an event called "Club NARM" at the Warners NARM convention, held at the Gaylord Palms in Kissimmee, Florida. John Esposito, President and CEO of WEA Corp, said: "The WEA Zone at Club NARM is an ideal opportunity for us to introduce rising stars to our valued retail partners." 2006.07.25 A professional lithograph of the lyrics of "Eve of Destruction" will be sold online. It uses a similar font to the one used in the US Declaration of Independence. Signed copies and artist proofs will be available in a limited edition. Ordering details will be posted soon. 2006.07.23 At the Oor website (an online magazine based in the Netherlands), there is an article (in Dutch) about "Sailover". To read the full article, you need to register. 2006.07.21 A relatively extensive tour of the USA will take place in August and September 2006. 2006.08.23 (Wednesday), 20:00 World Cafe Live 3025 Walnut Street, Philadelphia, PA None ? 2006.08.25 (Friday), 19:00 Iron Horse 20 Center Street, Northampton , MA None ? 2006.08.26 (Saturday) Passim Club Boston, MA None ? 2006.09.08 (Friday) Mountain Stage 2 Mountain Stage, 600 Capitol Street, Charleston, WV 25301 Tentative, Supporting Geoff Muldaur and Duane Jarvis ? 2006.09.09 (Saturday), 19:00 Club Cafe Pittsburgh, PA Supporting Duane Jarvis ? 2006.09.12 (Tuesday) The Rock and Roll Hall of Fame Museum 1 Key Plaza, Cleveland, Ohio, OH 44114 Interview only ? 2006.09.14 (Thursday) Fitzgeralds Chicago None ? 2006.09.20 (Wednesday), 21:00 Tractor Tavern 5213 Ballard Ave, NW Seattle, WA 98107 None ? 2006.09.21 (Thursday), 20:00 Mississippi Studios 3939 North Mississippi, Portland OR 97227 None ? 2006.09.27 (Wednesday) The Largo Los Angeles, California with band ? 2006.09.28 (Thursday), 20:30 and 21:30 (2 sets) Cafﾂ按ｩ Du Nord 2170 Market St, San Francisco CA 94114 with band ? 2006.09.29 (Friday) ? Santa Cruz, California Tentative ? 2006.09.30 (Saturday) Mystic Theatre Petaluma, California With Ramblin Jack Elliot ? 2006.03.25 The new album is scheduled for release in August 2006 on HighTone Records. It will contain 9 new songs and 5 "favourites". An EP will also be released after the album, containing 3 new songs and 2 "favourites". 2005.12.05 The concert at the Bluebird Cafe in Nashville was so well-received that P. F. Sloan has been invited back to perform a 2-hour show in 2006. 1. Add guest artist vocals and guitar solos to 3 songs ("Eve of Destruction", "Love Is Forgiving", "Sins of a Family"). 2. Remix a few songs. In total, approximately 15 musicians perform on it. P. F. Sloan described the sessions as "The best recording experience I have had since Dunhill", having had a producer who was willing to incorporate all his ideas. Indeed, initial feedback from the sessions has been extremely positive. It starts at 21:30 on 2005.11.11 (Friday). Also appearing at this evening entitled "In The Round" is Don Henry, Gary Nicholson and Russell Smith. The "In The Round" format is described as follows: "Four talented writers, sitting in a circle, sharing songs and inspiration. This format, inspired by Fred Knobloch and Don Schlitz, has become an important part of Bluebird tradition. The audience is given a unique opportunity to hear great original material from four different points-of-view in a casual, comfortable environment. A chance to discover up-and-coming writers or to hear hits, new and old, from some of the best of the best." This is to be a guitar-based album, hence the absence of piano-based songs, such as the opus-in-progress "My Beethoven". Garry W. Tallent (of Bruce Springsteen's E Street Band): Bass on 4 songs. Tom Peterson (of Cheap Trick): Bass on 4 songs. Bruce Boughton (of Garth Brooks' band): Steel pedal on 2 songs. Frank Black (of The Pixies): Backing vocals / harmonies on 2 songs. Felix Cavaliere (of The Rascals): Organ on "Soul of the Woman"; Top background vocal on "Where Were You When I Needed You". Billy Block: Guested on 2005.12.03 and/or 2005.12.04. 2003.06.03 The same label that will be releasing "Measure of Pleasure" also plans to release the 2 Dunhill albums on a 2-in-1 CD. 2003.06.02 There are plans to reissue "Measure of Pleasure" on CD around September 2003. It seems probable that there will not be any bonus tracks. 2002.01.01 The "Child Of Our Times" CD sold in sufficient amounts (currently approximately 3,000 copies) for Varese Sarabande to decide to release a second volume. This should appear at some point in 2002.